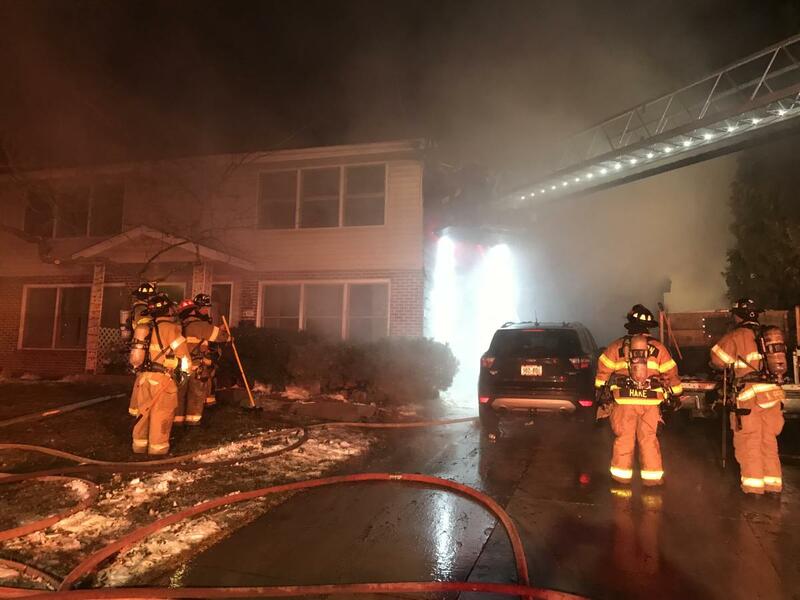 Madison Fire companies were dispatched to a two-story duplex after multiple 911 callers reported a garage on fire. 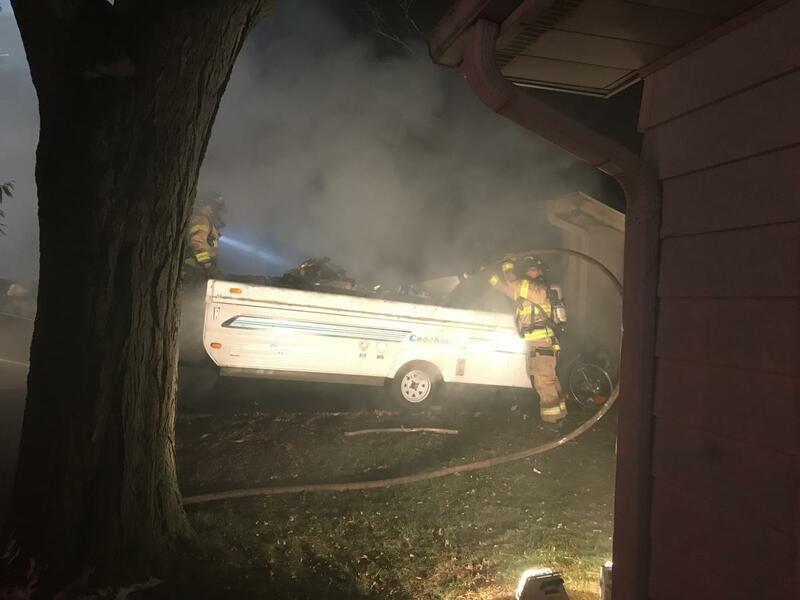 Fire crews arrived on location and confirmed an attached garage on fire with extension to a pop-up camper parked near the side of the garage. The main body of fire was brought under control soon after crews arrived. 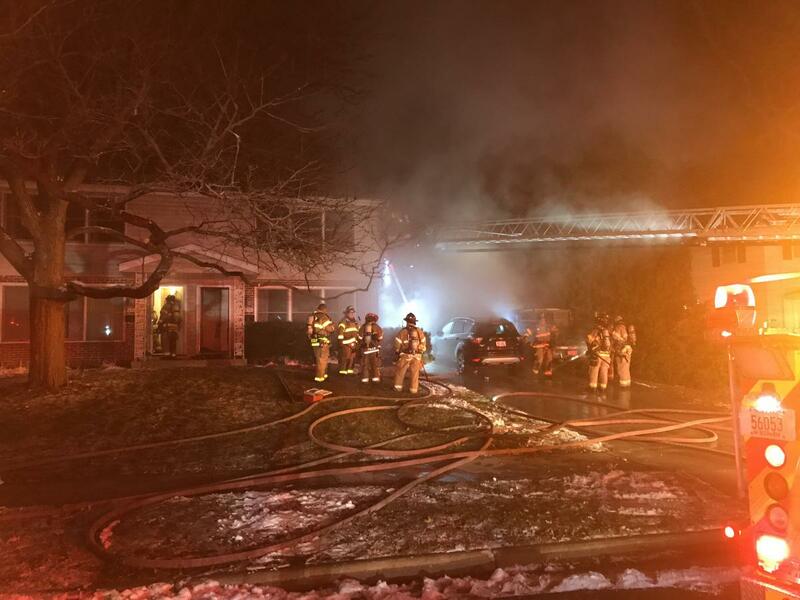 Fire damage was confined to the garage and exterior of the home. At least two occupants were displaced. No injuries were reported. The incident is under investigation.